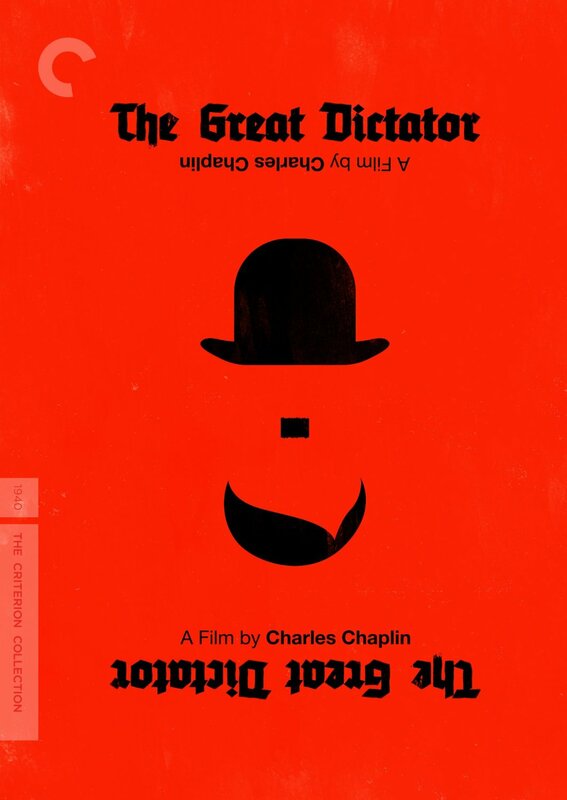 The Criterion Collection edition of The Great Dictator. The story features Chaplin in a double role; he plays the Hitler stand-in Adenoid Hynkel, and an unnamed Jewish barber, a character similar to the Little Tramp. The barber gets injured during World War I and has a case of amnesia where he thinks he’s only been gone for a few weeks and will return to his shop soon, despite having spent decades in a hospital. The barber escapes to return to his shop in a Jewish Ghetto, only to discover that Hynkel’s rule has made things tough on the Jews. Meanwhile, Hynkel is trying to quell rebellion (mostly via executions and concentration camps) and get the money to allow him to invade the neighboring country Osterlich. Shenanigans happen, and the barber replaces Hynkel and delivers the speech you’ve been seeing reblogs of on Tumblr in animated GIF form. Though The Great Dictator was a hit when it came out, it’s pointed as being the beginning of Chaplin’s downfall in the public eye, because it was so political, with the final speech being referenced by his critics, including many political figures in this country who wanted him out, as one of the things that showed he was a Communist (which he also wasn’t). The thing about that — the speech itself basically boils down to “Be excellent to each other”. It’s remarkable how preaching kindness can be so controversial… but then again, the controversy over kindness continues today.